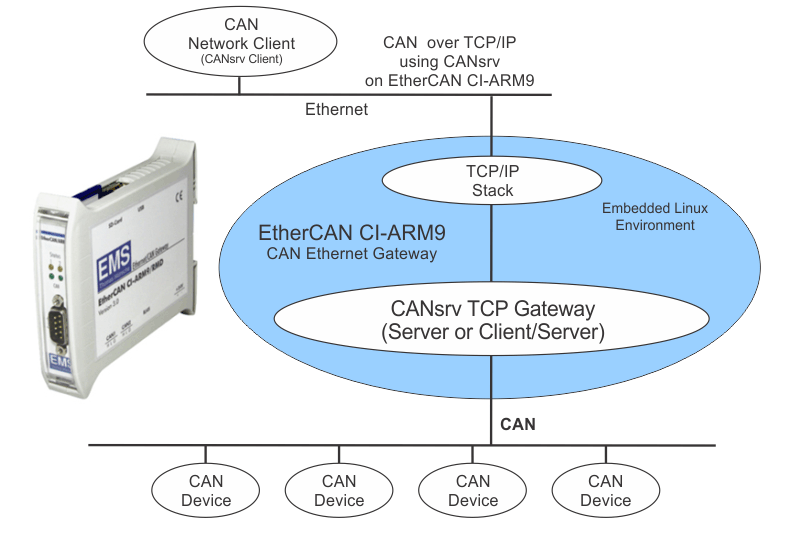 The EtherCAN CI-ARM9/RMD V3.0 is a powerful rail-mounting Ethernet Interface & Gatgeway for CAN bus applications. Powered by a 454 MHz ARM9 processor (Freescale I.MX287) with 2GB eMMC Flash and 128MB DDR RAM this gateway is capable of addressing complex, application specific requirements. It is suitable for applications where processing of CAN Bus messages in the Ethernet gateway is needed, including, for example, visualization of CAN messages via web server, and complex protocol conversion. The 454MHz Freescale ARM9 CPU provides significant power for such applications. Higher Layer Protocol support is optionally available, including CANopen and multi-protocol stacks, and ready to use CANopen to TCP/IP gateway. The implementation in a small, compact and rail-mountable housing eases the use in electrical cabinets. Additionally the connection of the USB 2.0 full speed host interface with a Bluetooth or WLAN Stick opens up the possibility of wireless data transfer. It also provides an integrated SD Card slot for bulk exchange of data and logging of CAN messages. Both CAN channels are galvanic separated. 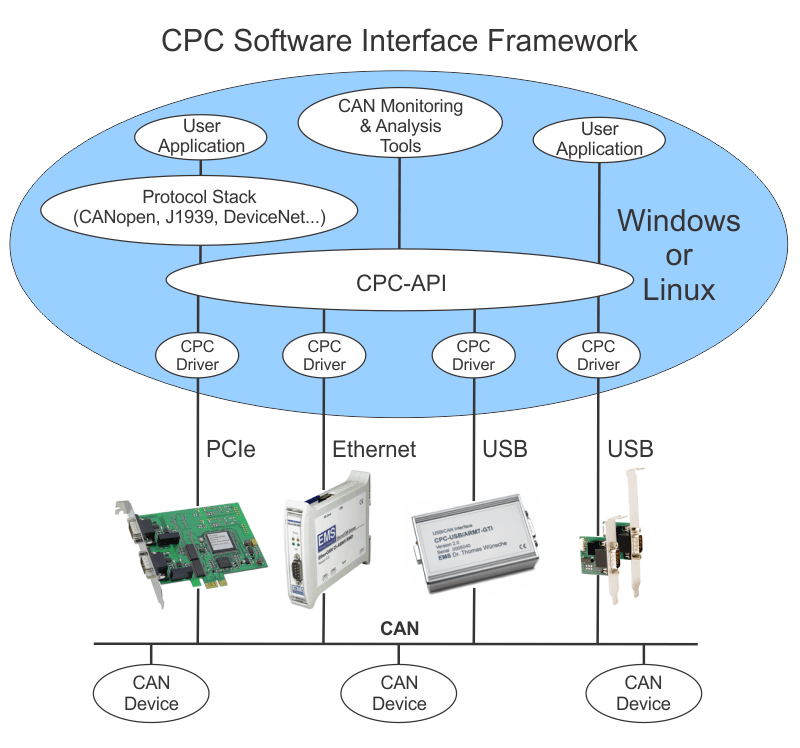 Treated as a member of the CPC family of PC to CAN bus interface products, the EtherCAN CI-ARM9 benefits from the CPC Software Interface Framework, which provides a consistent host software interface environment for Windows and Linux based applications that is independent of the PC hardware interface being used. A versatile tool for monitoring and recording of data traffic in CAN networks and its analysis according to proprietary or standardized higher-layer protocols. A number of available PlugIns extends the range of functionality to inlcude Scripting, CANopen interpretation, or Engergybus visualization. The development of PlugIns on customers’ request is also possible. Examples of use inlcude utilization as service tool or as diagnostic tool for devices or plants. A versatile tool for development, testing, diagnostics and service tasks. 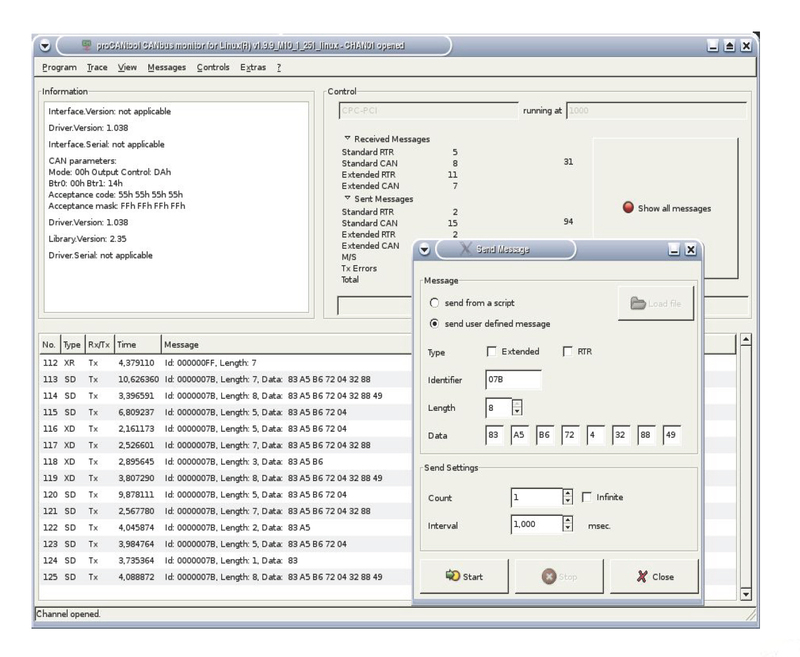 It provides CANopen master functionalities and allows the analysis and configuration of CANopen devices. 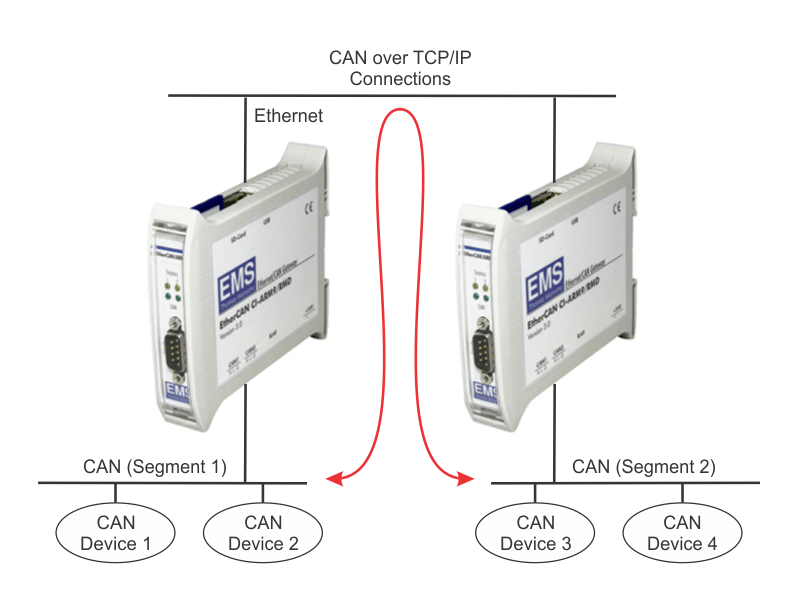 EtherCAN based TCP/IP-CANopen gateway compliant with the CiA 309-3 specification. 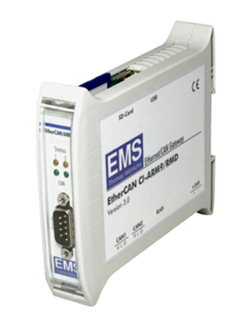 Universal CANopen Modbus TCP gateway compliant with the CiA 309-2 specification. Any (also temporary) stress in excess of the limiting values may cause permanent damage on EtherCAN CI and other connected devices. Exposure to limiting conditions for extended periods may affect the reliability and shorten the life cycle of the device.